One of the greatest investments you can make in your marriage is praying together daily with your spouse. But for many married couples, praying together is a real challenge. That's why FamilyLife created the 30-Day Oneness Prayer Challenge. It's a simple tool to help you start a habit of taking up to five minutes a day to join hands and pray together as husband and wife. For the next 30 days you will receive a short devotional and a set of prayers for you and your spouse to pray together each day. Sign up below! 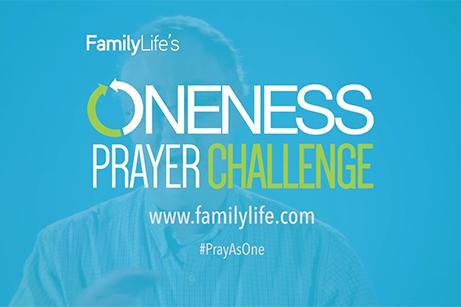 To receive the Oneness Prayer Challenge via email, simply fill out the form below.